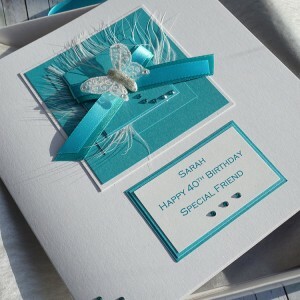 Special birthday cards, presented in a lovely presentation box, lined with tissue paper and wrapped with a luxurious satin ribbon. 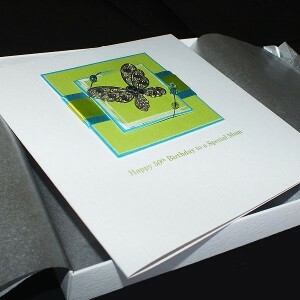 A perfect gift for that extra special birthday. 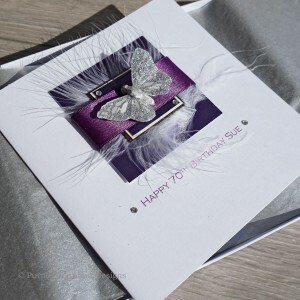 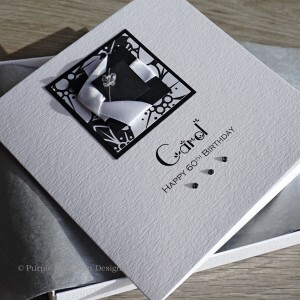 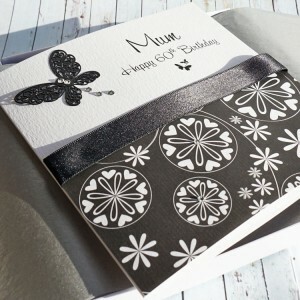 All cards can be personalised for a special birthday or other occasion, so whether you are looking for a special card for a husband or wife, brother or sister, mum or dad, son or daughter, gran or grandad, you can be sure that we can personalise your card especially for you. 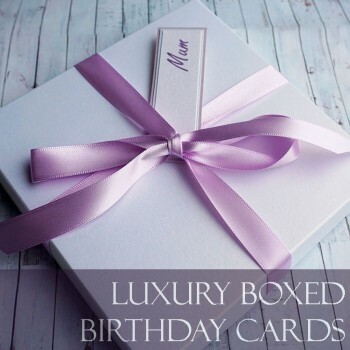 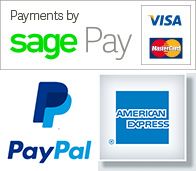 A taste of luxury for that special 18th, 21st, 30th, 40th, 50th or even 100th birthday! 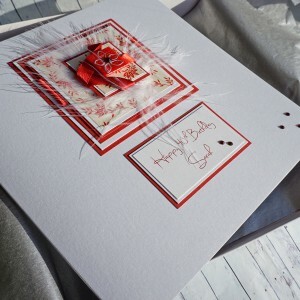 And with our fast delivery, most cards are sent out in 1-2 days so you can be sure that a personalised card will not take too long to be hand-crafted just for you. 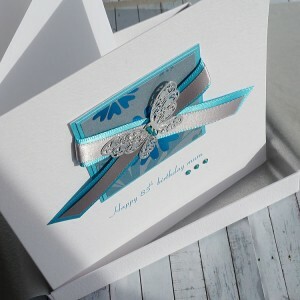 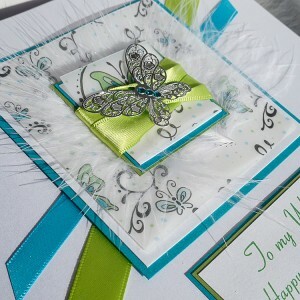 Luxury boxed birthday card for Mum ,Sister, Daughter, etc "Teal Butterfly" This pretty card f..
Diamonte Cat Personalised Boxed Birthday Card Created on beautiful pearlescent white car.. 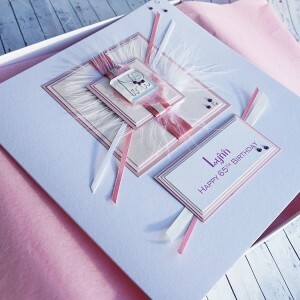 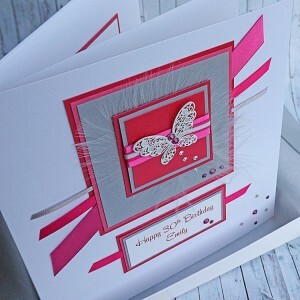 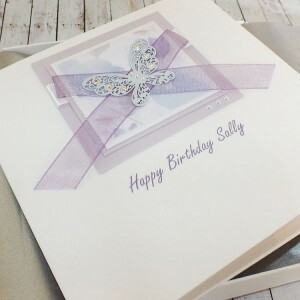 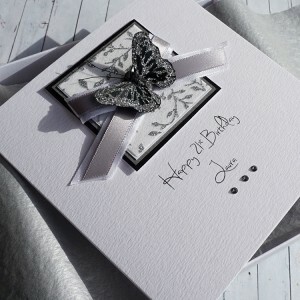 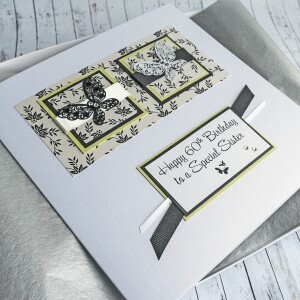 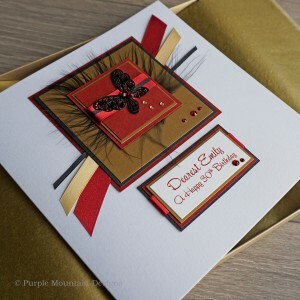 Handmade Boxed Birthday Card "Vintage Butterflies" Personalised birthday card for 18th, 21st,..
Personalised Boxed 30th Birthday Card "Butterflies & Ribbons" A beautiful personalis..